Home Arts Music Five for Fighting to perform March 8 in Huntington, W.Va.
John Ondrasik will perform March 8, 2018 at the Keith-Albee in Huntington. Photo courtesy Five for Fighting. 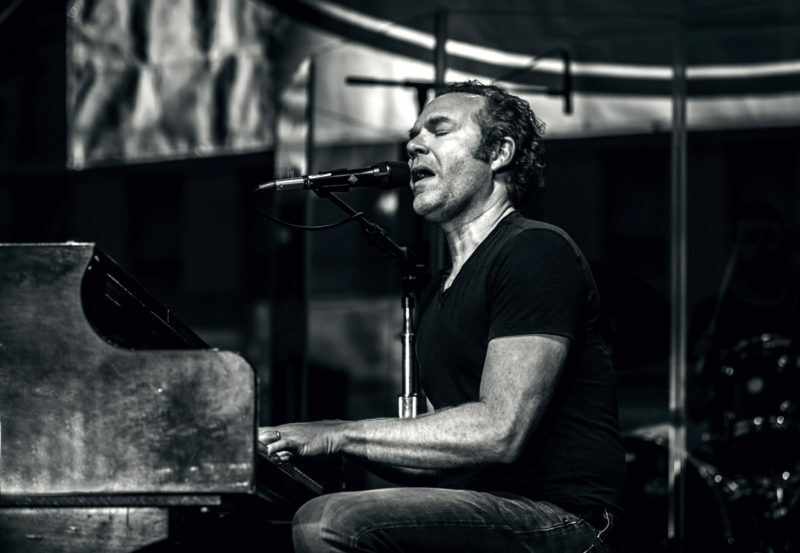 Singer, songwriter, and record producer Vladimir John Ondrasik III, known by his stage name Five for Fighting, will perform Thursday, March 8, at 7:30 p.m. at the Keith-Albee Performing Arts Center in Huntington, W.Va. Presented by Cabell Huntington Hospital, the Grammy-nominated Ondrasik, perhaps best known for his hits “What If,” “100 Years,” “The Riddle, and “Superman (It’s Not Easy),” will be accompanied by piano and string quartet, according to Angela Jones, director of marketing and external affairs for the Marshall Artists Series. Ondrasik based his title “Five for Fighting” off of the five-minute penalty one receives for fighting on the rink. He will be joined by opening act Marie Miller. He relased his first album “Message for Albert” in 1997, but his follow-up,“American Town, catapulted him onto the music scene with the hit “Superman (It’s Not Easy),” which served as an anthem after the 9-11 attack. His song “World” launched “What kind of world do you want?,” which prompted fans to upload videos showing their interpretations of what a better world might look like. The initiative raised a quarter of a million dollars for Augie’s Quest, Autism Speaks, Fisher House Foundation, Save the Children, and Operation Homefront. Ticket prices are $54.21, $43.30, and $32.39. Contact the box office at 304-696-6656 or order tickets online at Ticketmaster.com. Tickets may also be available at the box office in the Joan C. Edwards Playhouse on the Marshall University campus. Box office hours are Monday through Friday 12 p.m.-5 p.m. In addition to Cabell Huntington Hospital, the performance is being sponsored by WSAZ, I Heart Radio, The Herald-Dispatch, and Marshall University.